Now selling in the Maple Lawn area you love - new NVHomes on immaculate homesites with private rear yards! Stretch out with more room to roam in homes as large as 6,500 sq. ft. with all the luxury features you've come to expect from NV. Scheduleyour visit today! At Maple Lawn South, every day will be far from ordinary. You'll love hosting parties in the community's 2,600 sq. ft. clubhouse with pool and playground. Take a stroll to Maple Lawn's acclaimed shopping and dining spots. Start the day with coffee from Sidamo. Shop for your favorite pet at the neighborhood's Pet Barn Shop.Dine with friends at Hudson Coastal. Pick up fro-yo at Tutti Frutti. Whatever your pleasure, you'll find it in walkable Maple Lawn. At the end of the day, come home to a house as sophisticated as you are. You'll be greeted by a welcoming front porch and stately 8'-door. Entertain in style from your new gourmet kitchen with both formal and casual dining - already included! Choose to include a ground-floor guest suite with full bath for long-term guests. Upstairs, the owner's suite is worth retreating to - with two walk-in closets, spa bath with frameless glass shower door, tray ceiling and more. You'll love the modern floorplans and your choice of finishes to personalize the home of your dreams. 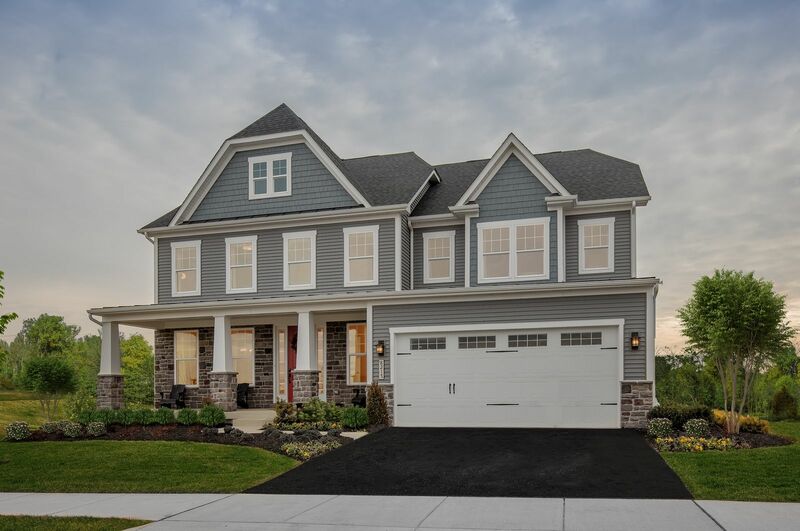 Come visitMaple Lawn South in Fulton, Maryland- the gem of Howard County.Schedule your visit today!